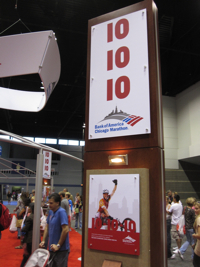 Arriving in Boston, I thought, ‘I am here at last!’ It took me four years to be qualified for the Boston Marathon. 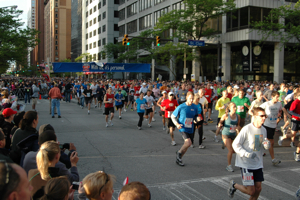 My last record in 2008 Cleveland Marathon was 3:14:03—just 57 seconds away from the cut-off! 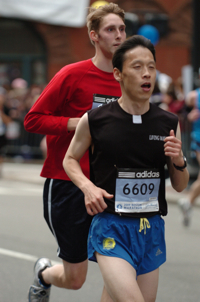 I was a little tired because of the hectic duties during the Holy Week and Easter along with the final preparation for the world’s oldest marathon. However, as soon as I met old friends in Boston, my tiredness was gone. They welcomed me with open arms, helping me pick up the bid number (6609) and drove me through the course which was helpful to plan the race. Above all, having spaghetti and meatball with the good friends at Dr. Ahn’s home was the happiest moment because I was with the family.